What began primarily as an electrical and fire safety testing, inspection and certification company soon branched out into a variety of services — from testing chemical hazards to burglary-resistive products and more — making UL what it is today. For 125 years, UL has dedicated itself to fostering safe living and working conditions for people everywhere. As UL celebrates its quasquicentennial, we take a brief look back at how it all started. UL’s story begins with the burgeoning use of electricity in the late 1800s and the fire risks associated with it. 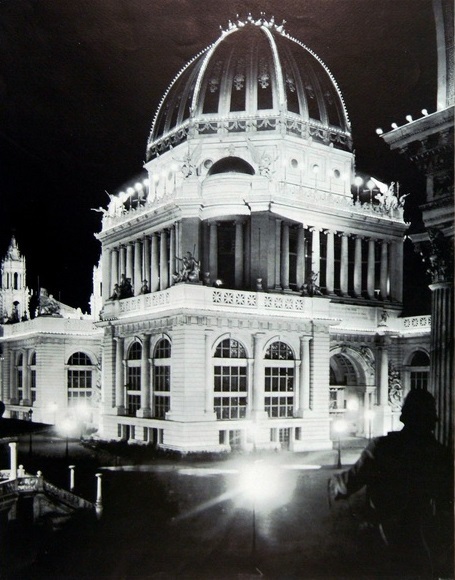 Our founder, William Henry Merrill, Jr., was an electrical engineer brought to Chicago to evaluate the electrical systems being used at the World’s Columbian Exposition in 1893. Before this point in history, the United States had not seen such extensive use of electricity employed, especially for a single event. Those in charge of planning and constructing the World’s Fair — and the companies that had planned to insure it — were not assured of a positive outcome at the time. Merrill, however, succeeded in evaluating and mitigating the fire risks posed in the Palace of Electricity, the companies insured the fair and the event was deemed a smashing success by its estimated 27 million visitors. 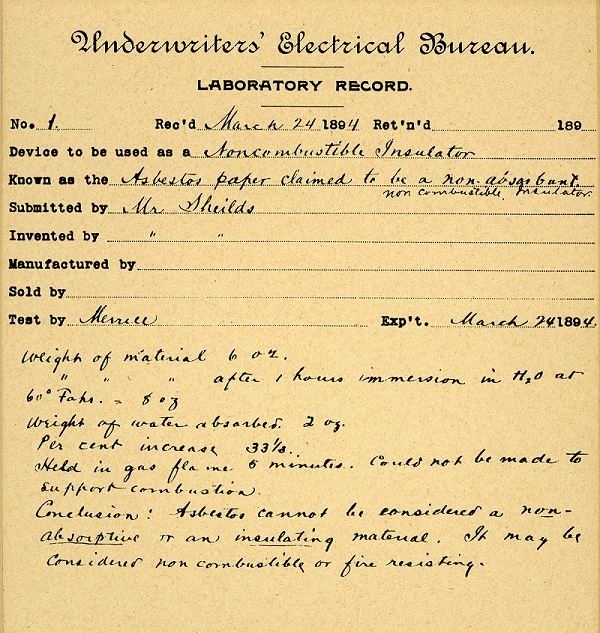 In 1894, months after Merrill’s duties at the fair ended, he founded the Underwriters’ Electrical Bureau — later renamed Underwriters Laboratories — in Chicago, Illinois, to test electrical devices before they were sold to consumers. UL initially received financial backing from the National Board of Fire Underwriters (NBFU) and became a stand-alone organization in 1917. Merrill established the basis of UL’s mission in the earliest days of the company. He aimed to promote safe living and working environments for people by the application of safety science and hazard-based safety engineering. Merrill envisioned a company that would serve the American public and, eventually, the world by creating a culture of safety that would prevent the death, injury and property loss of untold millions by identifying fire risks and determining the efficacy of fire suppression devices in a controlled laboratory setting. 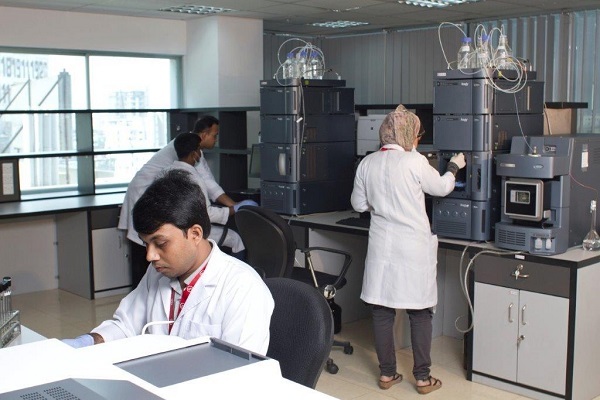 Merrill’s oft-repeated phrase, “Know by test and state the facts,” encapsulates UL’s commitment to the rigorous independent research and science methods required for the success of a safety testing, inspection and certification organization. 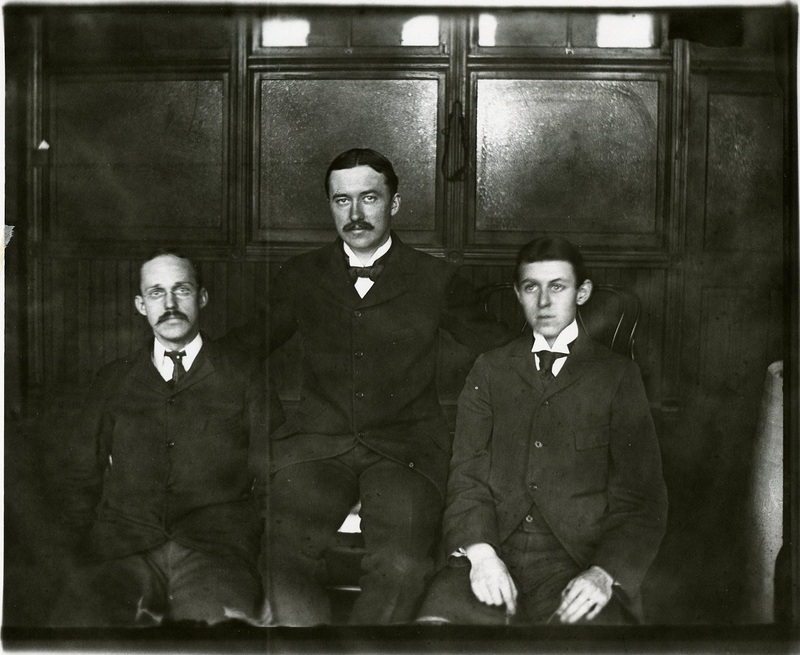 As Merrill and his colleagues gained the trust of manufacturers and consumers, the organization grew at a rapid pace, and it became evident that there was a great need for this level of scrutiny for all types of products and environments. 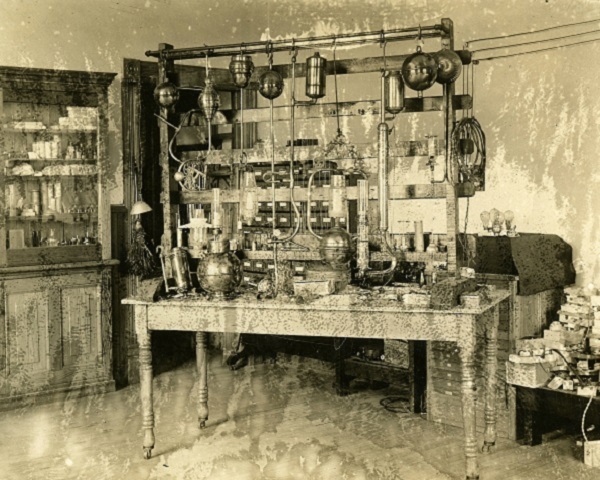 What began primarily as an electrical and fire safety testing, inspection and certification company soon branched out into testing chemical hazards, building columns, gases and oils, burglary-resistive products, automobiles, airplanes, consumer products and more. In 1903, UL released its first safety Standard related to the construction of tin-clad fire doors. A standard is a document that clearly defines the manufacturing requirements and materials necessary to create a safe product. Presently, UL is an accredited standards developer and has written 1600 standards defining safety, security, quality and sustainability. UL shares these Standards with other countries and allows them to adopt these requirements to help ensure the safety of people all over the world. Merrill’s visionary mission has carried UL into the present and future as the organization now tests, advises and provides digital solutions to enhance sustainability, renewable energy, supply network transparency, medical and wellness technologies and transaction and IoT security ̶ in addition to its original mainstays. UL is proud of the crucial role its employees, stakeholders and partners have played in ensuring public safety from 1894 through the present day. To learn more about UL’s history, download your free copy of Engineering Progress. 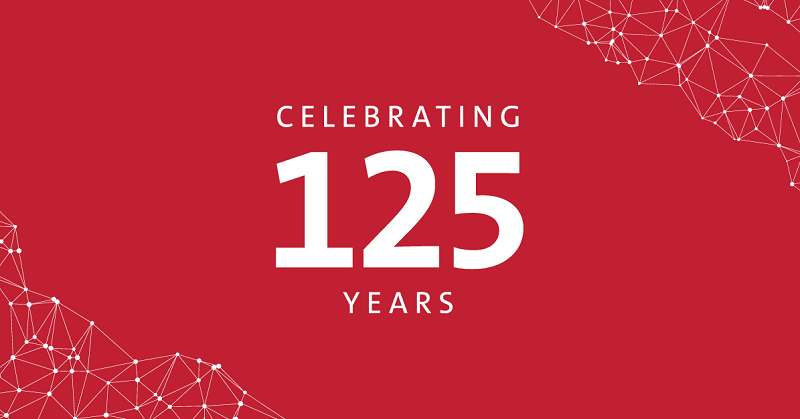 Check out UL.com for UL’s 125th-anniversary updates and join #ulis125 on social media channels.